In my final year I have taken on board a leadership role in the LEX society committee as a pro bono and negotiation officer. I am also a third year course rep. These are just some of the opportunities that I have benefitted from so far at NTU. “My decision to come to Nottingham Trent University was first of all influenced by my relatives who studied here in previous years. I then attended the law taster session on the open day, which allowed me to get an introductory experience of the delivery of lectures. I then knew that this was the university for me because of the highly qualified lecturers and tutors who are either practising solicitors or post-practise. 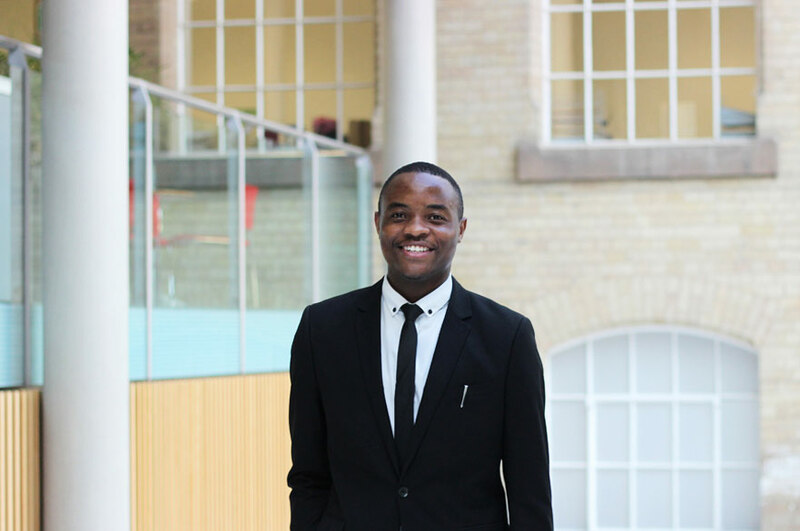 “The pro bono work experience and Free Representation Unit (FRU) offered at Nottingham Law School stood out to me. FRU is outstanding because it allows me to be a student lawyer, working on real life cases representing clients in tribunals on either social security or employment issues. I had applied to law courses outside of London but Nottingham Law School was the only one which had the FRU scheme, which I did not want to miss out on. “When I attended the open day at NTU, I took the virtual tour of the facilities and infrastructure. The architectural design of Newton and Arkwright Building was very impressive. The mock court rooms and the Legal Advice Centre in the Chaucer building further influenced me to make NTU my place of study. The mock courtrooms gave me a great feeling that this university would hone my advocacy skills through mooting, done in an excellent facility. I wanted to gain legal work experience for the first time and I knew Nottingham Law School would award me with this great opportunity. I was also happy with the fact that I would have 24-hour access to the library facilities which meant that if I chose to work part-time, I had flexibility. The student support I have received is great, from pastoral support to financial advice from the student services. The library staff have been of great assistance as they are always happy to help if I have any queries regarding books or access to computers. “In my final year I have taken on board a leadership role in the LEX society committee as a pro bono and negotiation officer. I get to work alongside Shoosmiths, a local firm which sponsors our annual LEX negotiation competition which has been an exciting experience. I am also a third year course rep. These are just some of the opportunities that I have benefitted from so far at NTU. To anyone considering to study here, I would definitely recommend this university. It will give you a well-rounded student experience, stretching you to reach your full potential. Most importantly, you will not only gain a degree qualification but you will also get the support you need to get your dream job.